It’s an old debate, but now than ever, content really is a huge determining factor in the success of your website. But content doesn’t just mean words. Visual content is just as – if not more so – important than the words on the page. A full 74 percent of social media marketers use visual assets in their marketing. That figure is higher than both blogs and videos combined. Perhaps this is why 37 percent of marketers said visual marketing was the most important form of content for their business. The ability to retain information without some sort of visual aid is poor – this isn’t news. In fact, when someone hears a bit of information, they are only likely to remember 10 percent of that information after three days. When an image is paired with the information, however, that same bit of information is likely to be remembered 65 percent of the time after a few days. People remember images. Content is king right? Sure, but not just the written kind. In fact, website visitors would prefer to watch a video rather than actually read anything on the site. In fact, 4 times as many views prefer videos to articles about items. 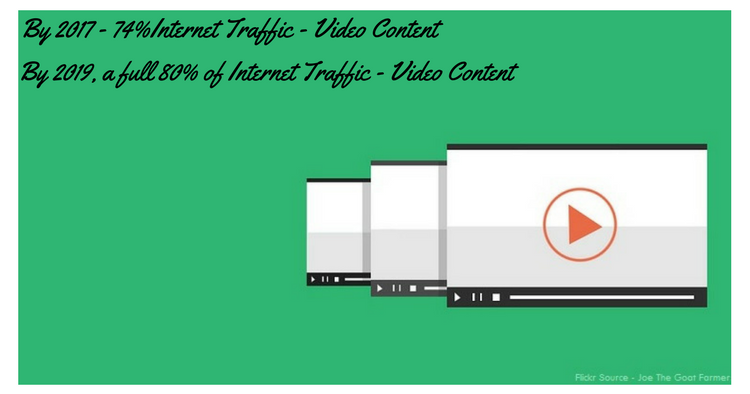 By 2017, 74 percent of all internet traffic is expected to be video content. By 2019, Cisco has projected that videos will dominate a full 80 percent of all internet traffic. Those numbers are staggering not just from a marketing perspective, but a data and streaming perspective as well. Remember that preference for videos over content? It expands to tutorials as well. If you only have written instructions for a tutorial, you’re missing out on a huge chunk of the market that would prefer video, or at the very least image-based, instructions. Want people to read your emails? Include the word “video” and your readers will perk right up! 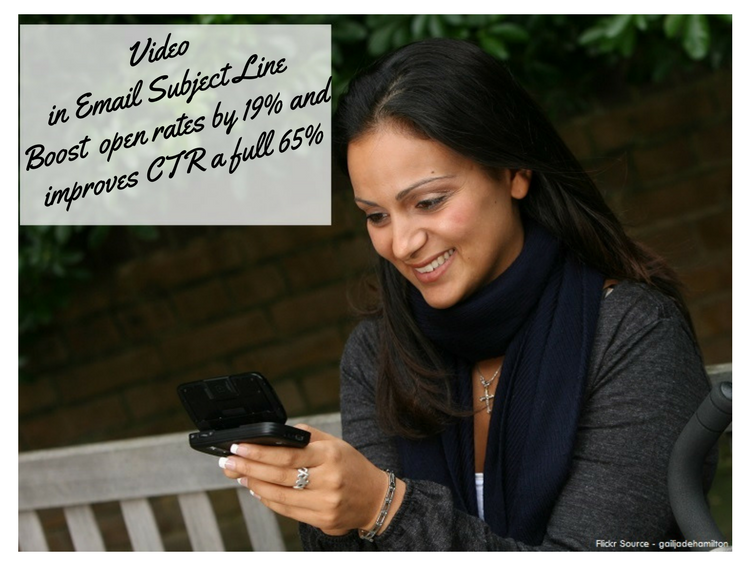 Using “video” in an email subject line boosts open rates by 19 percent and improves click-through rates a full 65 percent. 51 percent of videos are played on mobile devices. This is 203 percent higher than the video streaming rates from 2014 and 15 percent higher than the rate from 2015. It makes you wonder what 2017 will hold for videos and devices. In 2016 only 14 percent of marketers were using live videos. But Facebook users spend 3 times as much time watching live videos than traditional videos. 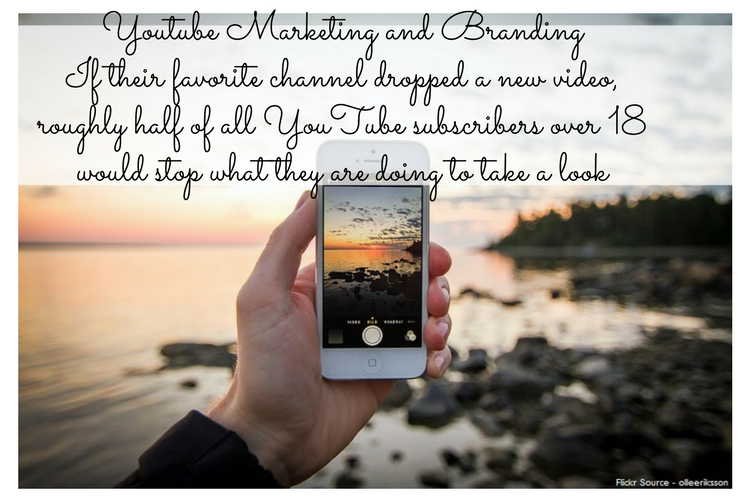 We can expect marketing videos to rise to the demand of the viewers. 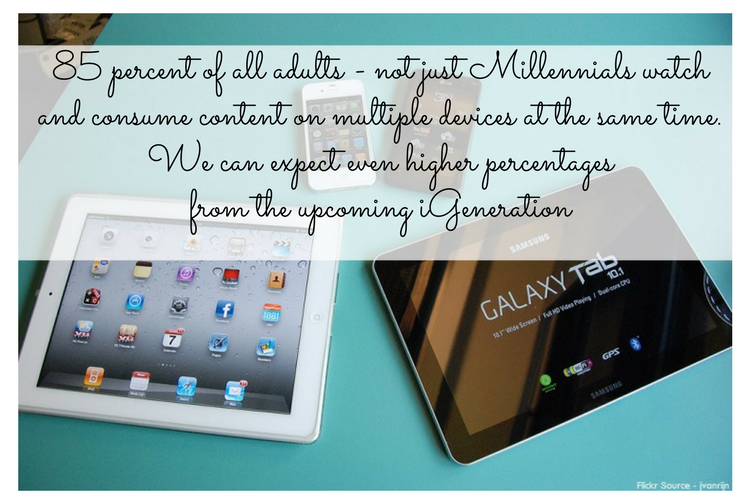 85 percent of all adults – not just Millennials watch and consume content on multiple devices at the same time. We can expect even higher percentages from the upcoming iGeneration (those born after 1998). Want to create a reaction? Share an infographic online. Infographics are shared and liked three times more than any other content type online – even videos. That’s a powerful bit of information to put your brand on. Infographics are also easy to share across multiple social media platforms as the sort of post or pin that is shared and has the potential to go viral. If you put an infographic on your page, your readers will spend more time looking at the images on the page than they will spend actually reading the text. Audiences like information-carrying images. In fact, they like them better than the articles that surround them. Trying to give directions? Offer your audience a picture. People trying to follow illustrations perform 323 percent better if they have some images to use as they work. Images matter everywhere in social media, and Twitter is definitely affected. Tweets with images will receive 150 percent more retweets than a post without any images. It’s worth repeating – people really like looking at images rather than plain words. The content and image rule applies to Facebook as well – posts with images have 2.3 times more engagement by users than posts without images. This is especially useful when you realize Facebook users watch 8 billion videos per day, and 85 percent of those are watched without sound. Instagram grew quickly and currently has more than 500 million users. This seems to pale when compared to Snapchat where 9,000 photos are shared per second and 10 billion videos are watched every day. 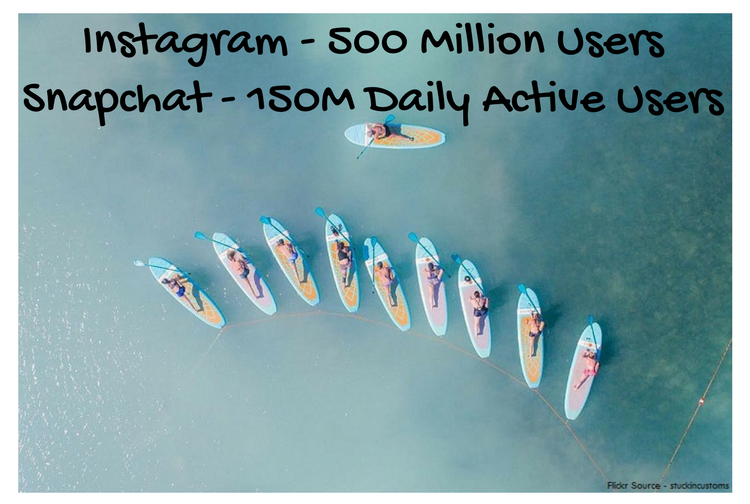 Overall Snapchat has 150 million daily active users and Instagram is still going strong. 44 percent of online women are using Pinterest (and 16 percent of men). The people using Shopify after being referred by Pinterest wind up spending an average of $80. On the other hand, Facebook referrals to Shopify spend about $40 on average. Pinterest users appear ready to shop. Additionally over 80 percent of pins are re-pins on Pinterest. By contrast only 1.4 percent of tweets are retweets. Those young adults aren’t just casual YouTube viewers either. They are committed to their various subscribed channels. If their favorite channel dropped a new video, roughly half of all YouTube subscribers over 18 would stop what they are doing to take a look. That’s powerful marketing and branding. Social media, images and content certainly aren’t new, but the right combination of the three yields dramatic results. If you’re missing a key element or even if you simply don’t have enough of the stuff customers want – you’re going to be missing key elements of customer engagement. Awesome article, content marketing is really important now a days to reach global readers. Since link building is not so effective now a days so we must focus more on content. Writing in-depth article will surely get awesome results from search. Link building is important too and with great content – it is easy to attract more links. User Experience has become a major ranking factor as well – which is why great content is even more important. Visual marketing is future of content marketing and its going to rule on the internet marketing. We were seeing that everyday but didn’t realized that it is effective unless we saw these stats. Thanks for sharing this awesome info. Stats are always helpful, that way you know what works and according we should plan our business promotions. 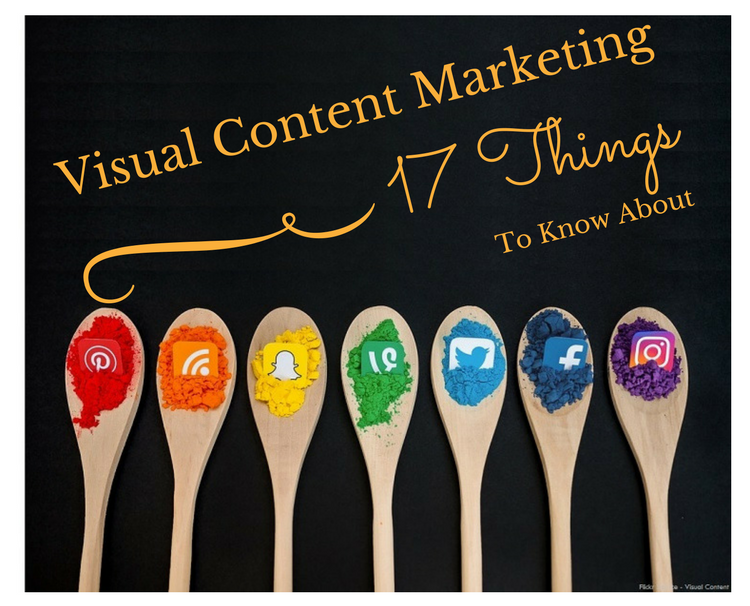 You have shared 17 different things about visual content marketing. Actually, for social media, it has evolved into more of the content being visual and it’s a helpful way for marketing and branding. It may attract more traffic to the site and increase sharing. There are many ways to make use of visual content marketing on all social media platforms. If a marketer is interested in taking it to the next level, this may create more clicks, shares, interaction, and conversions. Thank you so much for sharing your nice ideas about visual content marketing. Totally agree with you, visual content attracts more shares, views and links which results in gaining a lot of traffic. Certain platforms like Pinterest, stumbleupon, slideshare are totally visual. Other platforms like facebook, twitter, linkedin etc. values visual content a lot more than just text – which is why infographics etc. does a lot better than plain text articles. Nicely written and lots of facts in there. My first time here. One very fact about images (a well-executed one) is that it naturally attract incoming links from relevant sources. This help improves SEO value and generates lots of social buzz which might possibly lead to more qualified traffic. Although creating high-value images that attract traction isn’t an easy task. Lots of work need to be done and get right. In most of the cases, it required spending some cash getting the right designer for the job. Totally agree with you. You know people love visual references and you can see the engagement on visual post more then text post. Great topic here about Visual content. Visual content is more engaging than using just text. It gives your visitors the add visual description with the text so that they can get a better comprehension. I noticed that whenever I use visual content, my visitors are very impressed, especially when I go more into detail. A simple looking content is not helpful for any online organization or business in any way if it is un-able to grab the attention of the targeted customers. So importantly need to include elements like images, infographics, memes, and such other visiual elements to make contents more impressive & appealing. Thanks, it was great insight! Totally agree with you, and depending on the network – graphic elements can be really helpful. For example, Memes work really well on Instagram and Infographics works better on Pinterest. Sites like Reddit on the other hand like Gifs etc. Having text as the only medium makes it difficult to penetrate these social sites. What if the reader doesn’t read the content? Will the content still be a King? The Reader is the King. Interesting point, that way – perhaps the reader isn’t interested in your niche – which ultimately makes him useless for what ever you are selling? Content helps to build loyalty with your readers which helps in many ways, but if the reader isn’t interested in your content and does not takes any buying decision or is in-no-way interested in the product or service that you are offering – then I guess there is no point having a visitor like that? Indeed you are utterly right about the importance of video in visual marketing. Videos can be easily become viral and fetch awesome results. Interesting post – but I think it just confirms to me that it’s time for me to bow out of Internet Marketing. I don’t like making videos – and I don’t like watching them! Especially Facebook Lives, which are so often amateurish ramblings…. “Is everyone here, yet…. hello Fred, hello Joan….” Life’s too short! I admit I find video tutorials helpful – but I’d still prefer the written word, so that I can just print it out and tick off the items one by one as I complete them. You don’t need to hide under a stone, your content is valuable and it will keep attracting potential readers. When we make our content available in more formats we can reach new audiences. Videos for example, allows us to reach and tap the potential market on Youtube that you can’t with your plain text. There are other formats like infographics that allows you to reach a greater audience on Pinterest and then you can market them on sites like visual.ly etc. With that said, there’s a huge market of readers who want to read plain text which isn’t going away any time soon. I like your idea of Printing out the articles, something that I have done in the past – that way you can do the old-style reading which is still by-far the best way to read books, blogs and content. At a later time if you want to reach a greater audience, you can outsource some videos and graphics derived from your content – and use them to reach additional markets. Ohh and yes, that live feature isn’t that attractive too me but it is gaining a lot of attention and I too find people going live without any real purpose. Visuals are so important in everything you do now. They are often the difference between your content getting seen or being swept under the rug. I think the big challenge is learning how to actually created those great visuals, like infographics for instance. I find that a lot more challenging than producing a video. I think Shamsudeen’s earlier comment is saying much the same. Yes, having an infographic can be really helpful or any other graphic of that quality. I guess creating infographic is difficult, you are surely not alone. We have a separate graphic team who produces infographics and they are very costly to make. The results still outweigh their cost of creation. 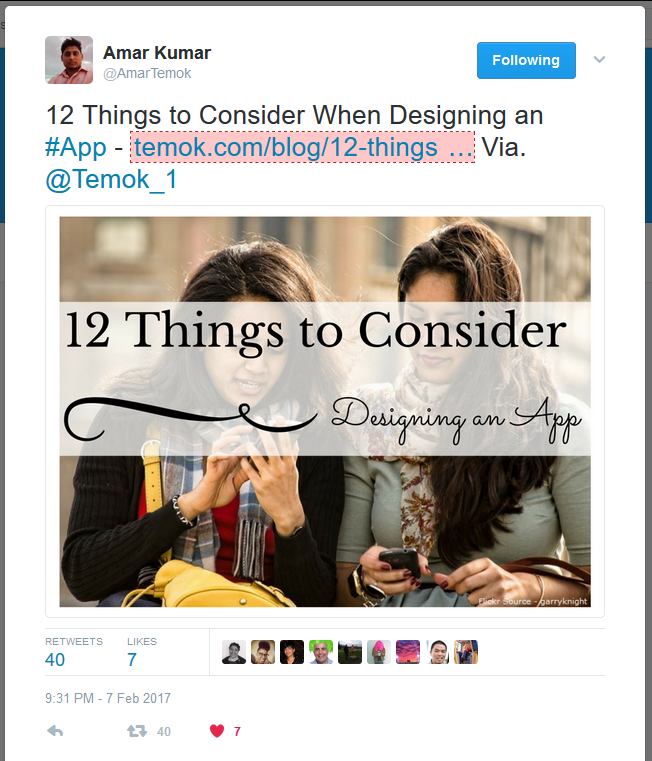 There are some online tools like Canva for example, which makes life easy. You have raised enough strategies for blogger regarding visual content marketing. Visual content marketing is in-thing and should be taken seriously. Wow! Had no idea including “video” in the subject line could increase the open rate by that much. Will definitely be testing that out this week. Thanks for the helpful tips. Having read this I thought it was really informative. I appreciate you spending some time and effort to put this content together. I once again find myself personally spending a lot of time both reading and commenting. But so what, it was still worth it! You have shared 17 different things about visual content marketing. But There are many ways to make use of visual content marketing on all social media platforms. Yes, there are many ways to utilize visual content and having a visual format means that you can share it in several platforms which are image dominating – say visual.ly or pinterest for example. Thanks for your encouraging reply to my comment above. It’s good to know there are still people like me who prefer reading plain text to watching videos. I did outsource a few of my articles to be turned into videos and presentations. The finished video was pleasing, and short enough to even for me to watch, but I haven’t seen much traffic from them, so I need to work on promoting them better. Haha – the more I mention it, the more I find that people who’s opinion I respect dislike Facebook live when it is used just for aimless rambling! Very true, reading can never be replaced. Totally Agree with you, most people prefer content in the form os visual graphics. Images and videos are easy to consume. With visitor, attention span keeps dwindling, an image can deliver more information within a shorter time span. Content in the form of video is taking digital marketing to a different level. Video content can convince people and increase the conversion rate. the best examples are product review sin the form of video. 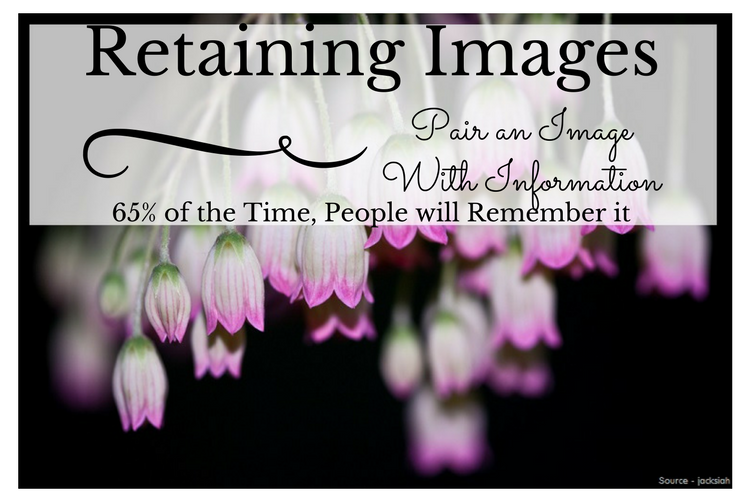 Yes, an Image can deliver a lot more info and in quick time and the information stays with the visitor for a longer time too. Nice stats about visual content. What’s surprising to me are infographics. I didn’t know that they are shared and liked 3 times more than any content, including video. You would think that videos would be the top content to be shared and liked. Thanks for sharing Oleg! Have a great weekend! I agree that content is king….and content in form of video or infographics performs really well these days…no one is interested to read story of 2000 words which can be shown in 3 minutes videos or an inforgarphics…great post…!! Indeed an interesting post and I agree with your points, Visual content is preferred these days, as we now visitors do not read all those lengthy articles, whereas they can easily watch a 2-3 minutes video explaining the same thing. So, that’s why visual content marketing taken the front seat these days and you have given some interesting tips Oleg. People are so stressed out with their daily life, EOD they have enough patience to read the article these days. So, here there is an opportunity to create the visual content and showcase for any startups. Infographics are so easy to understand. Creating videos are the best ways.. In another hand, Illustrations beautifies the whole blog post. Glad to know the statistics you have shown.. and definitely visual content is the future. As we can see the growth of Facebook(2 billion users) and other emerging platforms.